Joan Frericks graduated 1948 from Oldenburg Academy of the Immaculate Conception in Oldenburg, Indiana. She created, organized and chaired their alumni silent auction several years raising money for the Academy. Joan worked at an Agricultural machinery company in the career of bookkeeper. She was an independent Mary Kay consultant until her death. 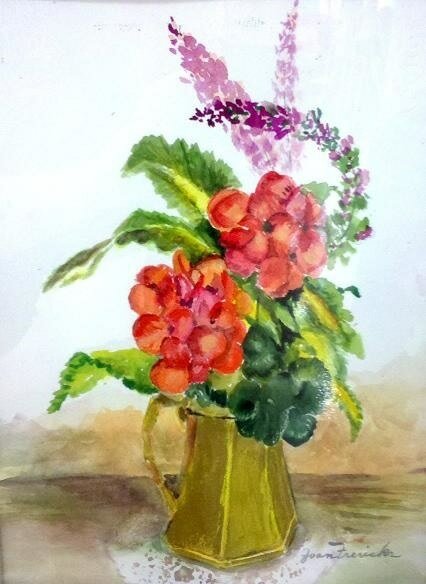 Joan was an oil painter, a watercolorist, a knitter and crocheter. She loved playing bridge and chess, often several times a week. Once retired, she traveled with Nadine, Leonora, Sandra and friends to China, Hawaii and even Alaska. She loved to play craps at the casinos. Joan worked as a supervisor for years for the Board of Elections. She loved her STL cardinals as a lifelong fan. She knitted a baby blanket, teddy bear and baby hat sending them to Matt Carpenter on the birth of his new baby this year. She kept score for almost every game this past season as she watched on TV. Joan was known as a party giver among her friends. She held garden parties in her backyard both for entertaining and as paint togethers so her fellow artists could use her iris and peony flower gardens for inspirations. Joan was a contestant in the MS. Missouri Senior America Pageant. Her talent was a monologue about the 1904 St. Louis world fair in which she wore a gown she designed and sewn in the imagine of 1904 dress. 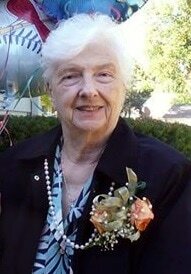 Joan was the President of Northside Art Association for many years and then President Emeritus. She started and maintained for many years the club’s art gallery in the Clayton lobby of the Smurfit building. Joan and Luther Hendrix were square dance partners and co-presidents for the Missouri Federation of Square Dancing. They along with their good friends Vicky and Ray Wittman were instrumental in getting Square Dancing voted as the Missouri State dance in 1995. Memorials may be made to Northside Art Association. 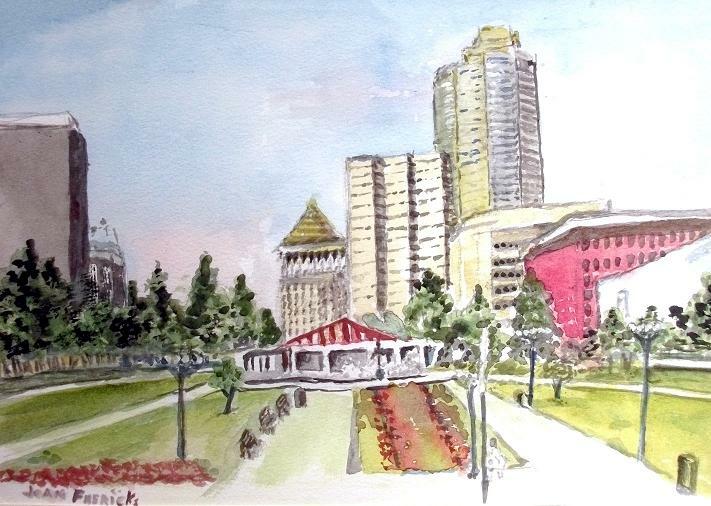 St. Louis by Joan Frericks. Watercolor. 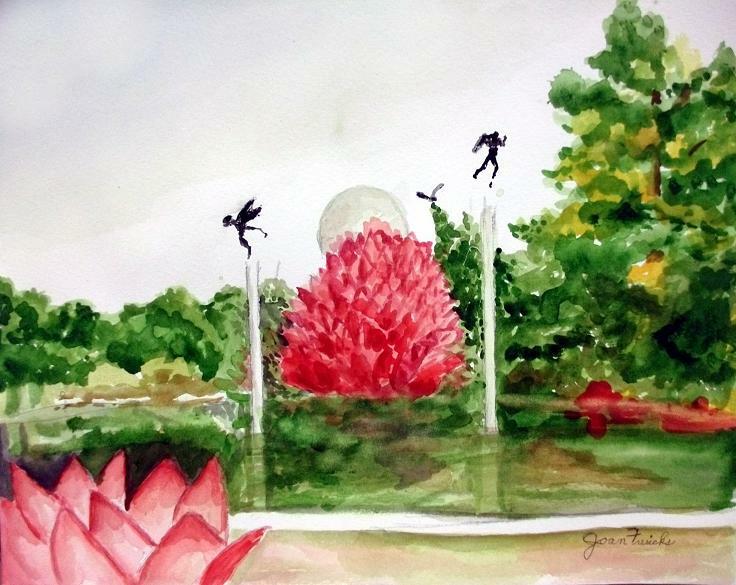 MO Botanical Gardens By Joan Frericks. Watercolor.